We live in London and get to the house when we can which is not as often as we would like to. We prefer this island to Sal or BoaVista as it is not affected by mass tourism and is more authentic to Cape Verde. Peace and tranquillity but only 15 minutes away by car from Mindelo City with it's bars, restaurants and shops so you have the best of both worlds. Please note that although the beach is directly facing the property it is about a ten minute walk away over some dunes. We (french family with 5 kids from 4 to 14) have spent wonderful holidays in Norte (Sao Vicente) in february 2016. The house in about 10 minutes by car or taxi from Mindelo (town from icon Cesaria Evora), just in front of the see, with incredible view but far away from mass tourism as you can see in the photos. The house is new, simple but beautiful, quiet. Karen who rents it is a very nice person which really gives you all the détails you need before your stay. There, you are welcome by Dislon, which speaks a few different langages (french, English...) and is a great guy as well. If you want to discover a great island but live far from big hotels... don't hesitate ! 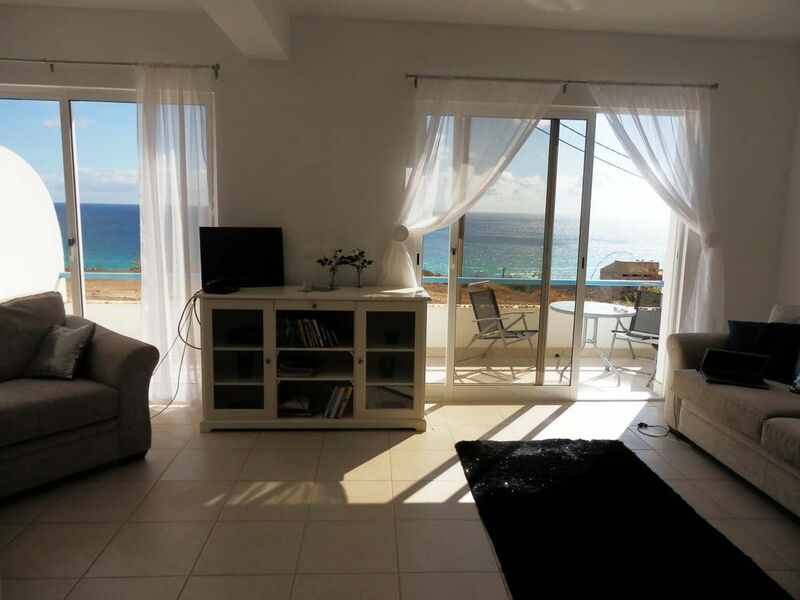 Most facilities mentioned are available in Mindelo, a 15 drive from North Baia. You can reach Sao Vicente direct by flights from several European countries including Amsterdam, Paris and Lisbon Via TAP Portugal or Skyscanner . From London there is also a "nearly" direct flight via TAP Portugal with a stopover in Lisbon (sometimes it is a short stopover of only 1 or 2 hours. If not, TAP will allow you to stay overnight in Lisbon or for several night if preferred, on the same ticket. Lisbon is a nice city to visit and the airline will transfer your luggage for you). If booking on Skyscanner, make sure you click on dates where no prices are shown as they are available. Alternatively, you can catch a flight from the UK or other European airports to Sal island in Cape Verde (Thomson or Thomas Cook or TUIFLY) and then catch a 35 minute from Sal to Sao Vicente island (Approx E100 £80 return via Binter Air ).The direct flights from Europe to Sao Vicente on certain days mean you do not have to stop at Sal or Praia. Other airlines are Fly Cabo Verde or Transavia or Tuifly Nl .